Gramophone magazine imposes a word limit of 250 on most of its reviews. While this certainly helps concentrate the mind, it does prove to be quite an obstacle when reviewing exceptionally good recordings or justifying bad reviews. Luckily sub-editors adopt a generous flexibility when word counts are exceeded for good reason, and with those recordings which are unremarkable (for want of a better word) 250 words is more than enough. The danger with such a tight word-count is that, unless you are very conscientious, you resort to the pointless platitudes which swamp those publications where brevity is seen as an end in itself (one thinks immediately of the pointless exercise of Twitter where the very act of reducing length leads to a superfluity of material). But in most cases I find you can say all that is relevant and necessary in 250 words, even if you do regret the pearls of wisdom which must remain un-published. Rarely do I feel the need to expand on a Gramophone review in another arena, but here’s one of those rare exceptions. I have just submitted a review of Hansjörg Albrecht's recording of Peter Sykes’ organ transcription of The Planets for the March (or is it April?) issue and, of course, you will have to get the magazine to read it. But, while the review of the disc itself could be reduced to the required word count without too many tears being shed on my behalf, the recording does raise a few questions which I would like to have brought out into the public arena. Where better to do so than in this extravagantly wordy and un-edited blog? 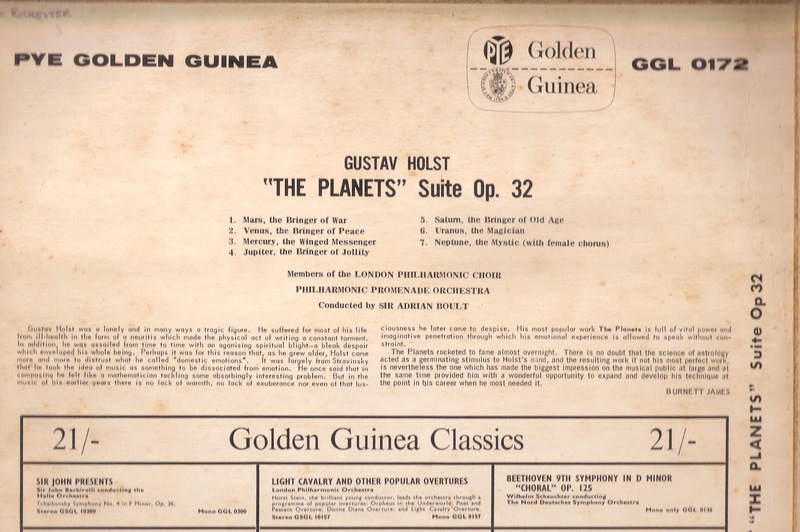 Gustav Holst’s orchestral suite The Planets has long been a dear favourite of mine. I can’t remember whether it was Sir Adrian Boult’s recording of it on the Pye Golden Guinea label which I purchased from Eric Spencer’s record shop in Welling one Saturday afternoon when my choirboy finances had been boosted due to a plethora of weddings (at half a crown each), or Boult’s performance of it with, I think, the LPO in the Festival Hall sometime in the late 1960s (a time when I never thought to retain the concert programme or enter details into my diary, so cannot be specific about the occasion) which introduced me to the work. But for half-a-century I have been a fanatic supporter of the piece. It was among the very first batch of recordings I was sent for consideration by Gramophone back in 1985, and was the work in which I made my début with the MPO on 4th June 1999: and I well recall conductor James Judd stopping the rehearsal in order that the orchestra could hear (and see) that astonishing full organ glissando in Uranus which usually gets obscured by the sheer volume of the rest of the orchestra playing fffff (and which, on a tracker organ, requires both elbows and forearms). This latest recording of the work was an organ transcription released on the Oehms label. The matter of organ transcriptions of orchestral scores has long troubled me. 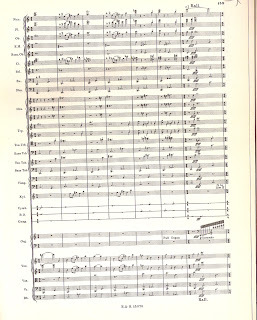 In the past, before the days of ready accessibility of orchestral music in its original guise through recording and broadcast, there was a clear logic in providing transcriptions to bring the great works of musical history to a wider public than would otherwise have been possible; after all one organist in situ is cheaper than a hundred-piece orchestra on tour. Going back even further, transcriptions have served to shed new light on great works and to add entirely idiomatic repertoire for the instrument; Bach's famous transcriptions of concertos by Vivaldi and others are a classic example. But many modern-day organ transcriptions seem rather pointless to me. 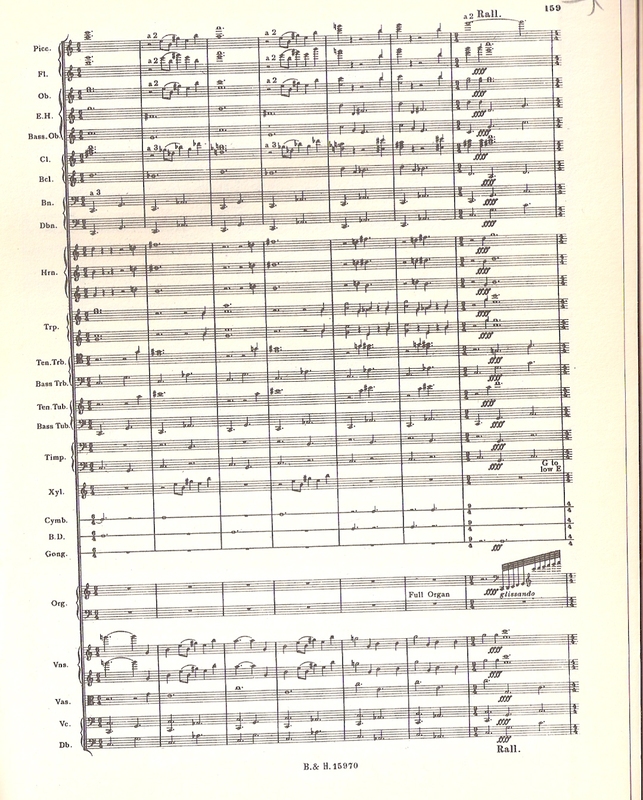 Much as I admire the cleverness and intensity of David Briggs's Mahler symphony transcriptions (to which I referred in my previous post) they neither illuminate Mahler's original nor add anything of value to the organ repertoire. With this transcription of The Planets, however, the issue is rather different. over his sketches while he was composing. The seven movements of this two-piano version were first published separately in 1949-51, and most have been out of print for some time. They are now reissued complete in one volume, providing a welcome opportunity for pianists to discover the music for themselves in performance. Richard Greene's extensive study of the work, published in 1995 as one of the Cambridge Music Handbooks, sidesteps the issue of the piano duet version, and apart from a couple of sentences on page 28 - "During his sketch period, Holst worked on piano scores which he would have students and colleagues play through with him. The scores were marked with instrumentation, and gradually each movement was transferred to full score" – he ignores totally the matter of the work's keyboard origins. Holst also wrote an organ duet version of "Neptune." Vally Lasker commented, "Holst first made us play Neptune on the organ, thinking it too nebulous for a percussion instrument like the piano." Unlike Mahler, Holst did like and understand the organ and used it effectively in several of his orchestral scores. 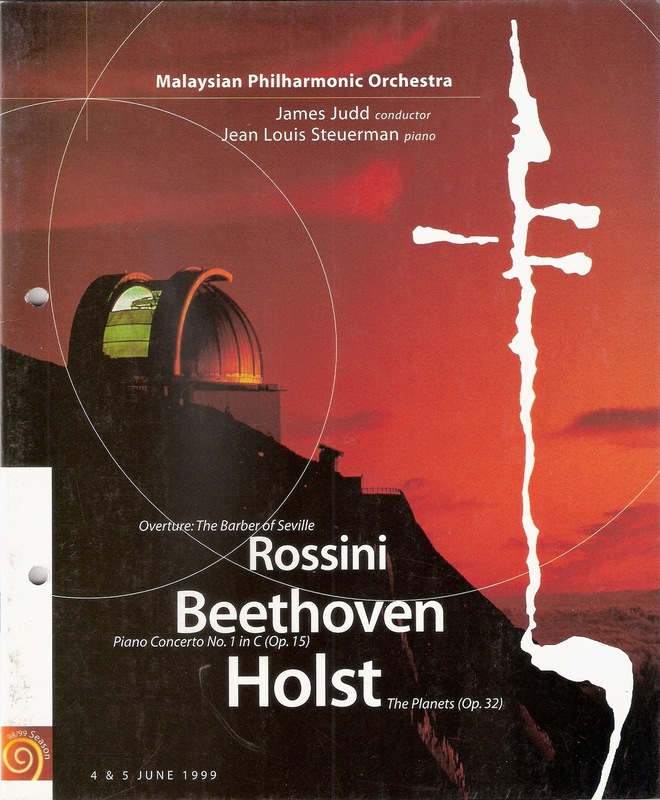 Like the piano duet recording, I find the organ version sheds a lot of new and interesting light on the score – evoking much more potently than the orchestral version the sense of the infinite timelessness of space and the deep mysticism of Holst's musical vision. On top of that Sykes's transcription sounds utterly idiomatic. (I haven't heard Sykes's own recording – on Raven Records – but Albrecht's performance is absolutely compelling as an organ work in its own right.) So by all my yardsticks, this version is a valuable and worthwhile exercise; it has real legitimacy, it sheds new light on the work and it sounds entirely right on the organ. But the questions don't end there. There are issues with the recording itself which need airing. It is a spectacular recording, make no mistake about that, and I am as bowled over by Albrecht's technical brilliance as both executant and registrant as I am by the organ of St Nikolai in Kiel. But here's the first issue. The booklet gives details of two organ in the same church, a two manual Cavaillé-Coll of unknown vintage but installed in the church during 2004, which boasts 17 speaking stops on two manuals and pedals, as well as three manual, 48 stop instrument by Detlef Kleuker built in 1965 and last enlarged (with the addition of a 32 foot pedal reed) in 2008. The booklet also includes a picture of Albrecht at the console of a mighty six manual beast, which does not appear to have any connection with either of those instruments. 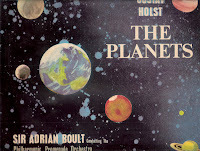 Yet we are not told which instrument is featured on the recording, and while I am absolutely sure we hear the Cavaillé-Coll in Neptune and have a strong suspicion it is added to the mix in the big tune of Jupiter, a certain amount of guesswork was needed to unravel this frustrating obfuscation from the recording; and frankly, while no critic likes to rely on guesswork, it's all the more annoying when the recording is so good one is continually distracted by the sheer wonder of the overall sound. The booklet itself is a perplexing resource. Albrecht himself has used it to indulge in a pretty hefty piece of metaphysical contemplation which puts an interesting sheen on the usual perceptions of Holst's work, and while much of what he has written is of questionable authority, as a personal opinion it is delivered with a disarming openness which loses little of its distinctive character even in translation. I baulk only at the paragraph which clearly has dipped into Wikipedia to identify pop songs which have cribbed from The Planets and concludes with this lovely bit of queasy (or should I say, quasi) Hello! 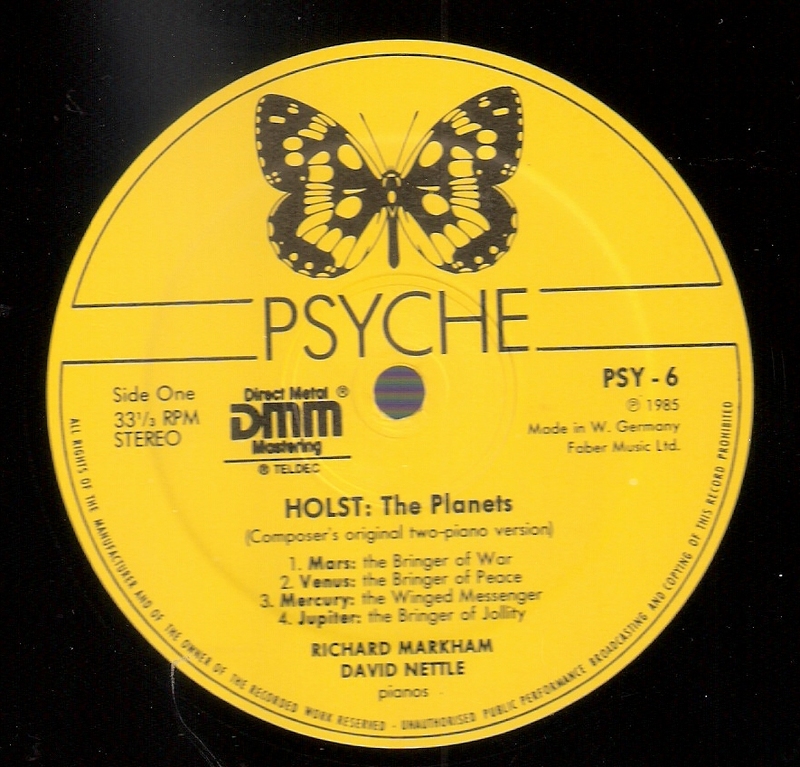 Magazine gossip; [Jupiter] was among Princess Diana's favourite songs and played both at her wedding and funeral. It was also on the musical wish-list for the wedding of Kate and William in Westminster Abbey". The focus of my Gramophone review was on the astounding quality of the recording itself. In 250 words I do hope my review will encourage listeners to seek the recording out, but in ten times as many words, I hope I have provided some food for thought as well. Your comments on arrangements remind me of a CD I picked almost randomly, long ago some time after I bought my first CD player: Gordon Jacob's arrangement of the Elgar organ sonata, Vernon Handley and the Liverpool Phil. You must have come across it, and be interested in your take on it. I cannot abide most of the orchestrations of organ works that I have heard, least of all the Stokowski version of Bach's D minor Toccata and Fugue. But to my ears, this is a super arrangement, beautifully colourful and sensitive, and still characteristically Elgar. Indeed (as a non-organ player, but with a brother who is) I much prefer it to the original. I suppose such preference is very subjective, and like when people swear to the superiority of book or film adaptations of a novel, their view frequently just reflects what they got to know first. Yet, as with Pictures at an Exhibition, there are cases when the subsequent orchestration generally outshines the original, and there is probably a good reason. Given the rise in Elgar's popularity, and the sad fact that he completed only two symphonies, there is a latent desire to uncover other orchestral works. I am therefore a little puzzled that the ill fated 3rd symphony gets so much more interest than the organ sonata, which as a four movement work, in this orchestrated form is as close to a zeroth symphony as we will get. As an organist I am convinced that Elgar's Organ Sonata is really an attempt at writing a full symphony by a composer not yet confident in handling an orchestra. I am sure that he thought orchestrally when he wrote it, and so Gordon Jacob's masterly arrnagement seems much closer to what I think was in Elgar's mind than what was published. It certainly sounds much more natrual. If you look at the strange history of the work - it was completed so near the scheduled performance that there was no time for proper rehearsal and, in any case, it was impossible to perform on an organ in those days (forgetting the fact that the person for whom it was written was unable to play it apparently through a surfeit of alcohol). Even today, it can only be performed live in a modified version as it far exceeds what is possible by a single person at an organ. Meanwhile, on the subject of Elgar arrangements, Ivor Atkins turned movements from Elgar's Severn Suite for brass into an Organ Sonata (the Organ Sonata No.2 in B flat) and this works infintiely better than either the orignal or the Organ Sonata No.1. I am astounded that all this happened and I was completely unaware of any of it! But not displeased. Once something is out in the world anything can happen, especially in this day and age. If you want to hear my version, recorded on a monumental 1931 EM Skinner organ, just let me know!